painted along with a wooden box that one of my sisters gave me. 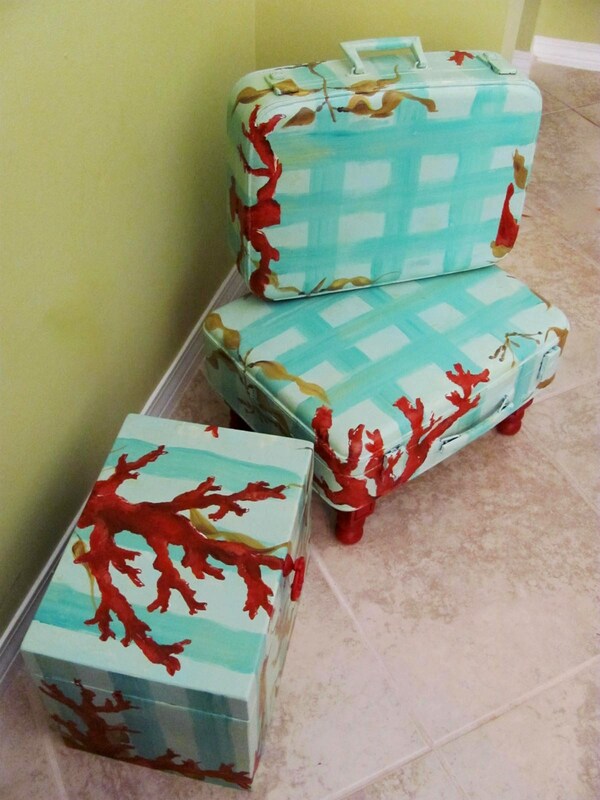 I'm a big fan of repainting things when I want to change things up! Here they are all primed and I added feet cut from decorative wooden spindles. I stacked them together when painting to create a single image. They aren't attached together, just stacked and great for storage. I spray painted a brass colored pull I had to match the coral. and attached to the wooden box on top. closet under the stairs and look nicer than cardboard boxes. 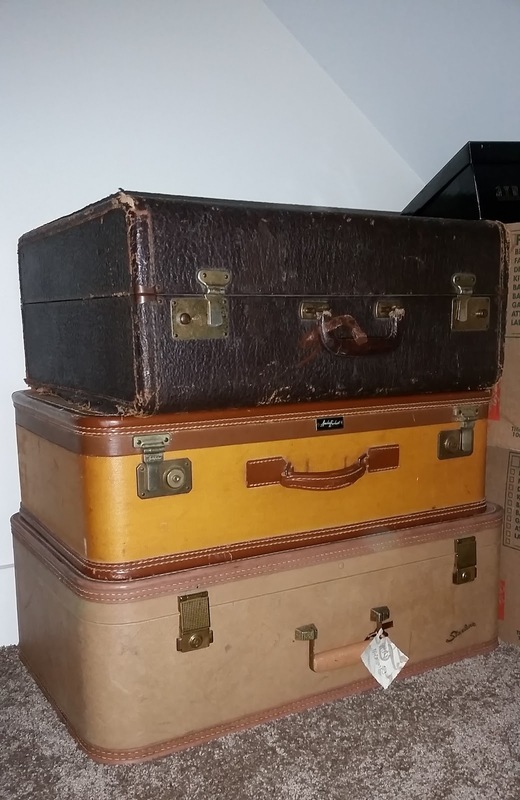 suitcase and on the bottom, a very deep vintage Starline suitcase... love them all! Thanks for reading about my suitcase makeover idea! I bought an old suit case a while back and didn't know what to do with it! Such a cool idea. I'll probable just do the stripes. Hi, Lucy -- ya know Im not really a fan of a lot of color but this is so cute.. great job. I wish I could paint like that. I love the whole stacked/storage concept though,, gotta keep that in mind for some storage space around my house. You are so creative! I would have never thought of doing that with old suitcases. But it's a brilliant idea! Wow these are absolutely adorable.. love what you've done with them..! Hello Girl, this is another super cute creation, you are totally smart !! Keep rocking with awesome stuff..